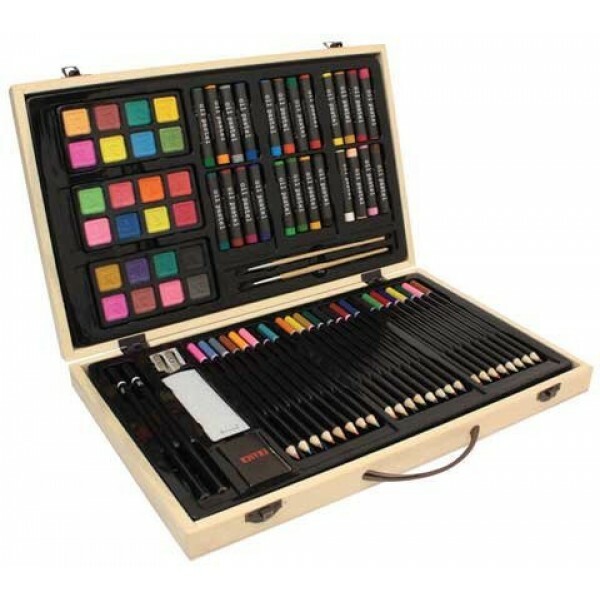 US Art Supply's luxurious wooden case contains all of the tools and colors you need to unleash your artistic muse and bring your creative ideas to life. The gorgeous colors and design tools are neatly organized and arranged in a handy wood case with a frosted silver carrying handle so you can create art wherever you go. 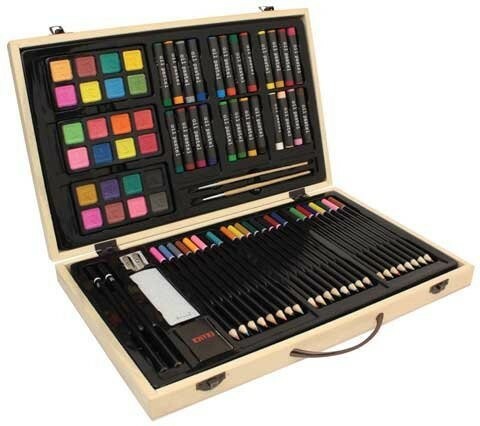 Includes 24 color pencils, 24 oil pastels, 24 watercolor cakes, 2 paint brushes, 2 drawing pencils, and accessories. For more arts & crafts kits and supplies for all ages, visit our Arts & Crafts section.